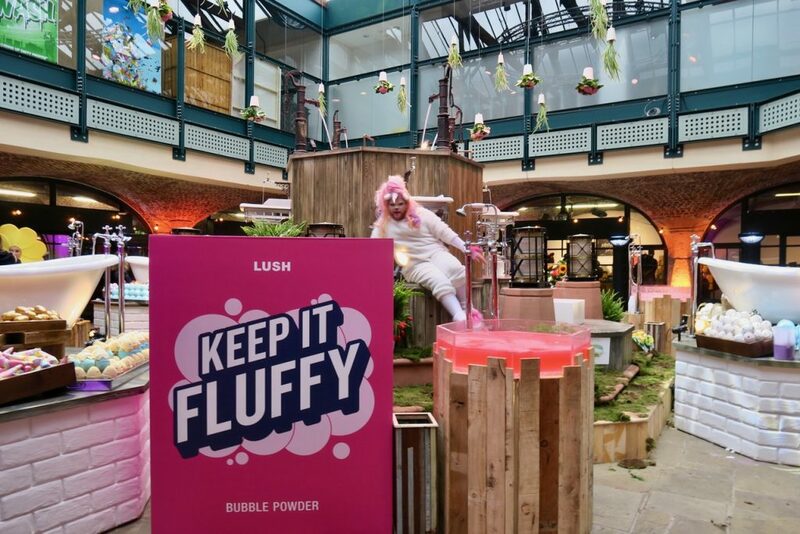 Last Wednesday and Thursday East London events space Tobacco Dock was taken over by activisms and heavenly scents for the Lush Summit 2017. I am a huge fangirl of Lush, not only because their products are amazing but because they actively practice what they preach. 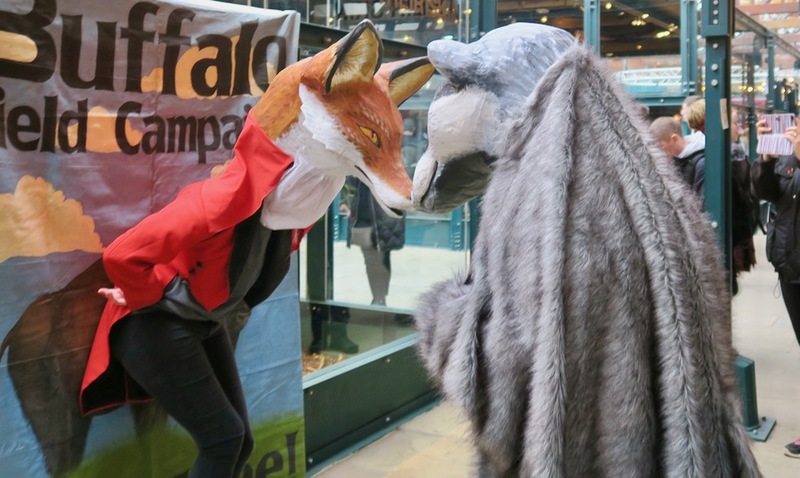 They are a brand who not only focusses on product and profit but also on people, animals and the environment. 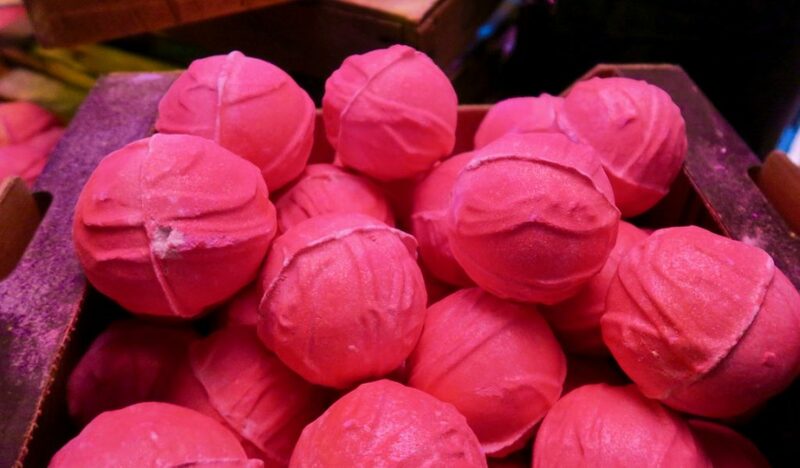 Long gone are the days where Lush is seen as a smelly store where hippies buy bath bombs. Through perseverance and sticking to their beliefs Lush has made themselves a household name, without compromising on their principals. Before the free event even began I downloaded the app to get an idea of what to expect. Often with these kind of events the brand is simply pushing new products and not much else, but Lush had a full programme of talks and events to get involved with on a variety of topics including: Conservation, Digital Ethics, Animals Rights, Human Rights, War & Poverty, Environment, Food, and Climate & Energy. 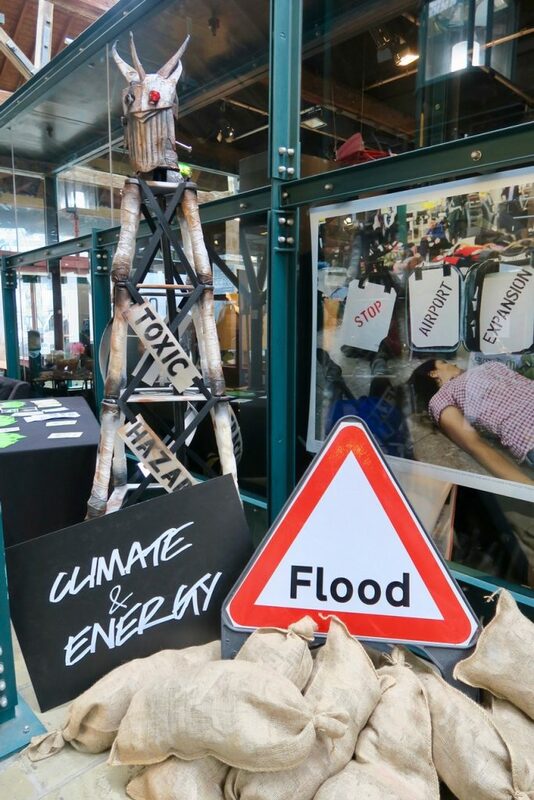 These areas were all put at the forefront of the events space, again emphasising Lush’s commitment to activism. Of course, Lush are still running a business so there was also a careers room and business updates. Moving on from the “foundations of Lush” downstairs the focus was on products. 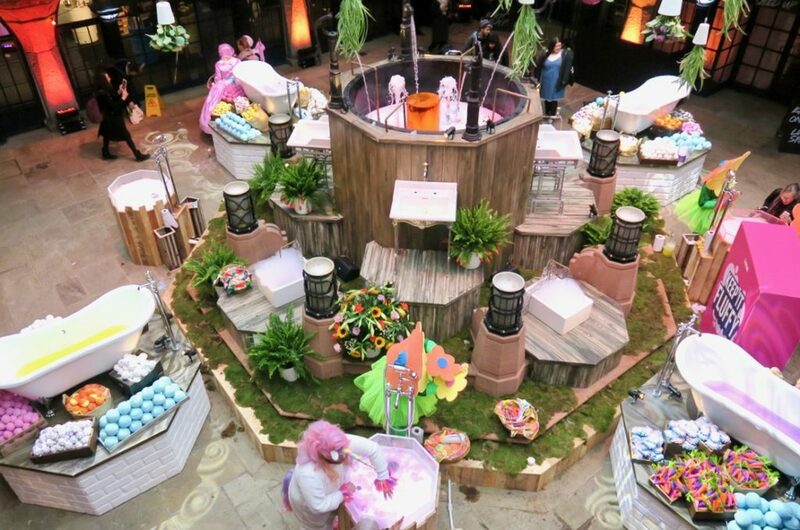 The centre piece was a spring area where the seasonal pieces came to life with flowers, unicorns, rabbits, and egg and even a giraffe welcoming guests and creating a joyous atmosphere with their upbeat attitude. 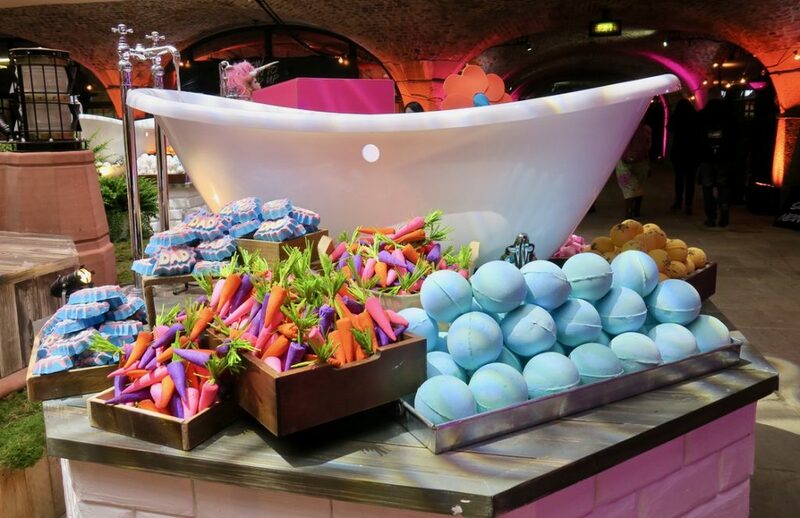 Surrounding this mystical land were rooms featuring new and seasonal product ranges as well as the Lush spa, scent cinema and knot wrapping room where, of course, in classic Lush style guests were welcomed to get hands on with the new products. 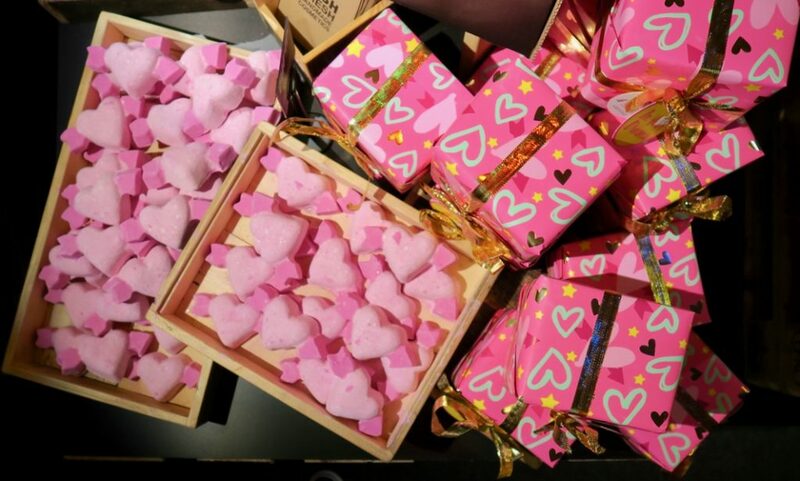 Two Hearts beating as one bath melts where you and your other half can have a piece of the interconnecting hearts each or, if you are single, you get to keep it all for yourself. 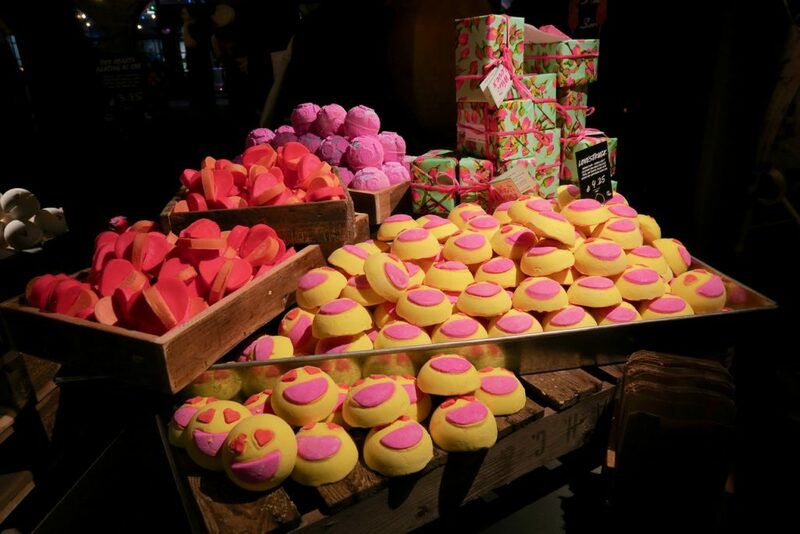 The unicorn horn and lovestruck are always firm favourites but for me Cupid is the winning bath bomb; the arrow through the heart reminds me of old school tattooing which I am an obvious fan of. 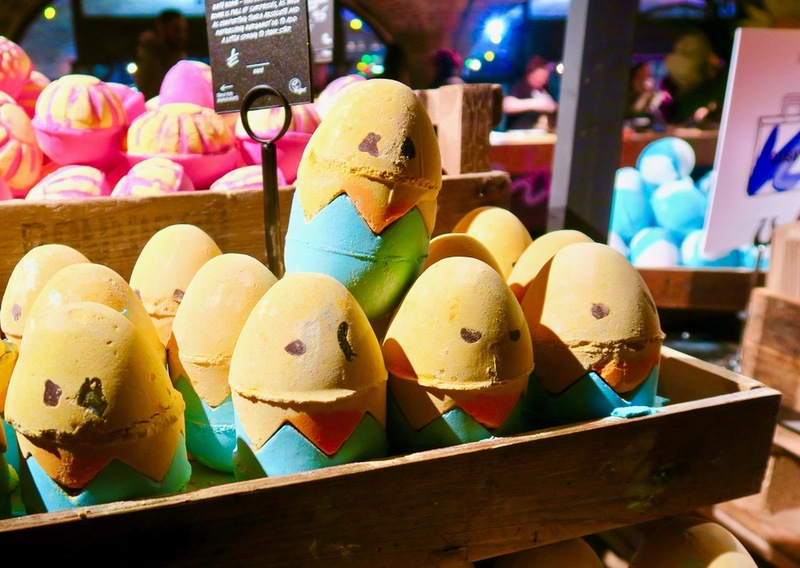 Chick ‘n’ Mix bath bomb; each chick seems to have it’s own personality with their quirky faces and also hold a surprise little bunny inside their shell, giving 3 bath bombs in one. 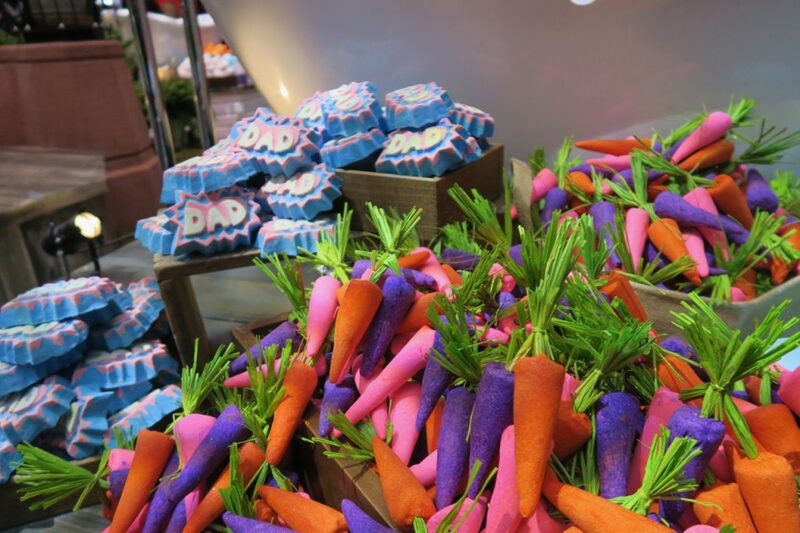 There are also plenty of egg shaped bath bombs to choose from as well as the super cute bunch of carrots. 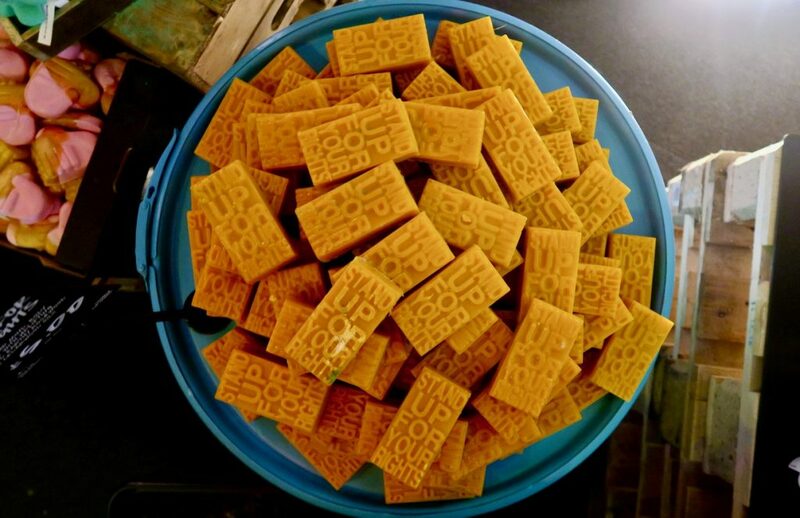 Both parents are well catered for with great range of gifts boxes, named bath bombs, and awesome shower cremes. 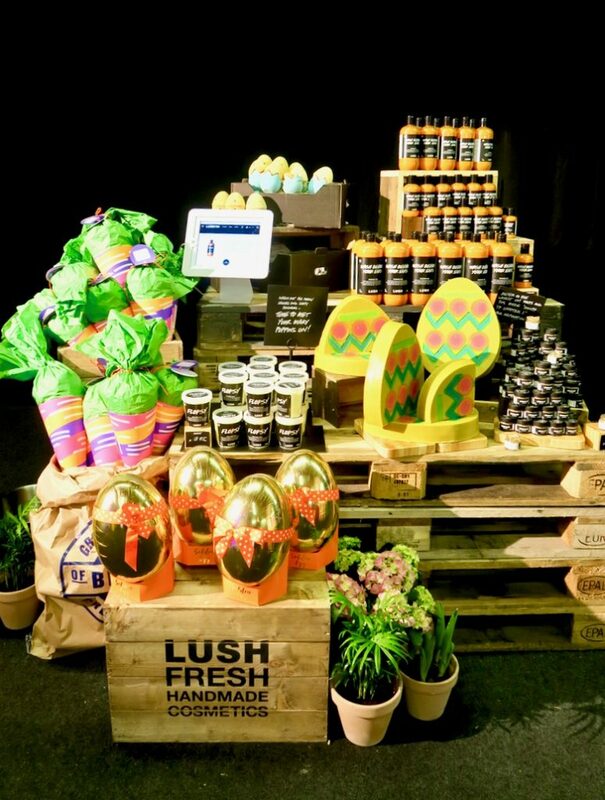 My favourite had to be the mega Mother Earth bath bomb and Yummy Mummy shower gel. 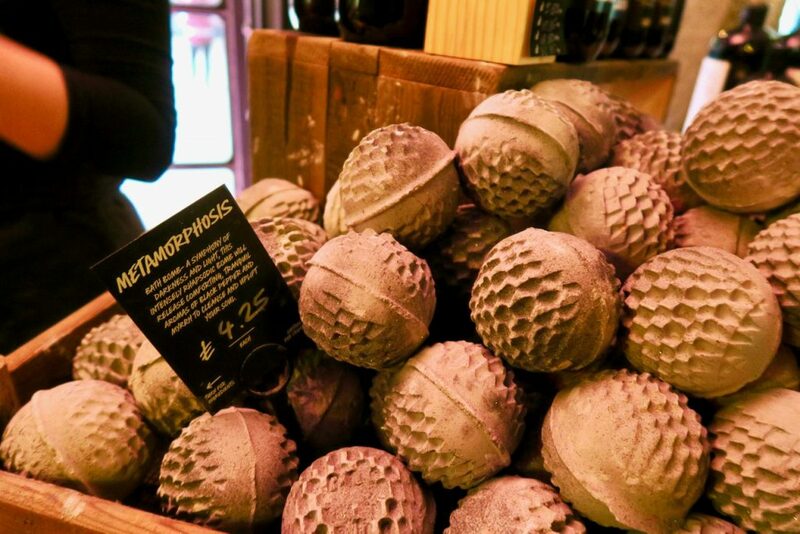 There are plenty of exciting bath bombs hitting the shelves soon including Metamorphosis, Think Pink and Thundersnow, Yellow Submarine, and a super cute giraffe bath melt. My standout has to be the jelly face masks – so new they were not even up for sale. 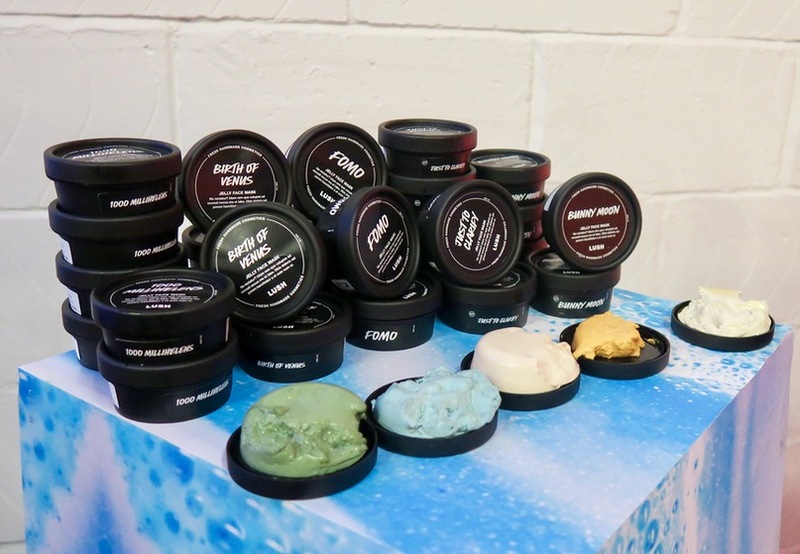 They come in 5 varieties to cater for ever skin type and felt decent on the skin. After all the excitement, and smelling like the Oxford street store, I could not resist heading to the shop which stocked a whole bunch of new and exclusive products, some even coming from as far away as Japan! There was also plenty of charity merchandise on offer, including pots and slogan apparel. I was still feeling terrible after coming down ill, but not even a virus could stop the contagious positive attitude of Lush brightening my day. As I could not take full advantage of the day because of how poorly I felt I will definitely be making up for it next time by attending both days. What a fantastic event! I want to try ALL these products now.